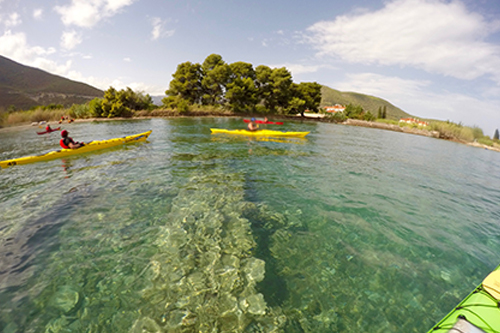 Sea kayaking is our favourite activity yet! 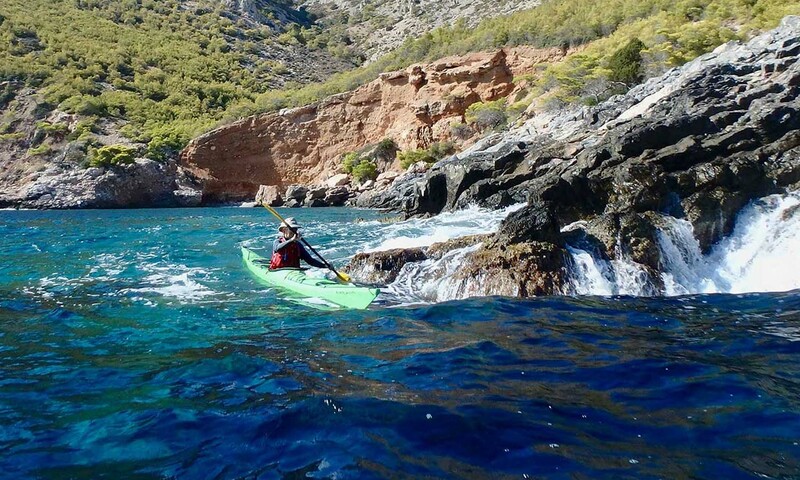 We use our kayaks as vehicles, to enjoy the amazing and vast coastline of Greece, of over 3000km, full of history and myths, with turquoise coloured waters and lush vegetation hanging over the sea, with plenty of hidden private beaches and coves just for ourselves to enjoy. 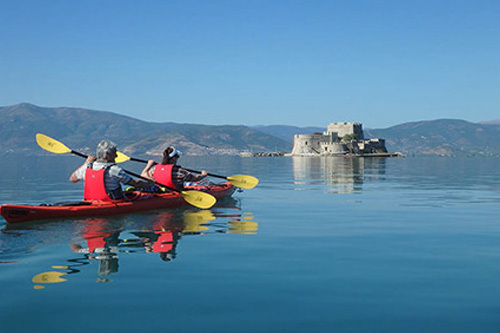 We strongly consider Greece to be the ultimate Sea Kayak destination of the world, with beautiful and safe seas. 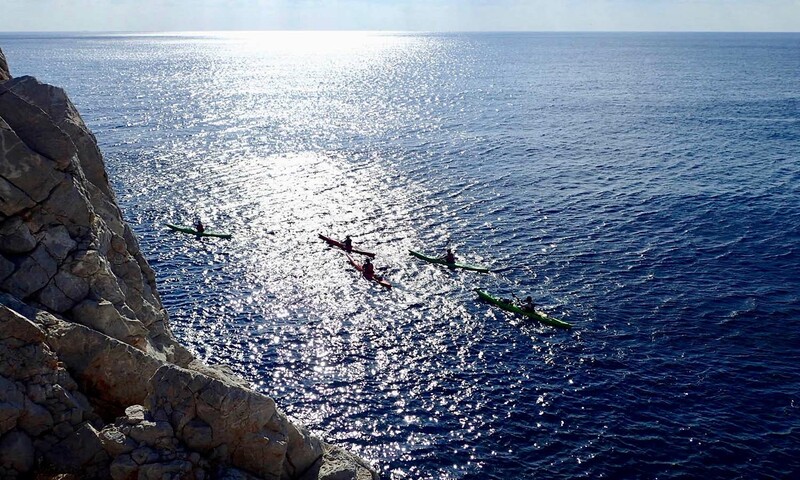 Health and Safety is a matter of outmost importance to our team, making a top priority to follow all the regulations that the British Canoe Organisation imposes on its members on the rough seas of the UK, to ensure a safe, yet memorable experience. Our guide(s), always qualified and certified, will be by your side to lead, assist and instruct you, when necessary, on different techniques, to increase your paddling ability and maximise your overall experience, as well as be happy to share with you everything they know. 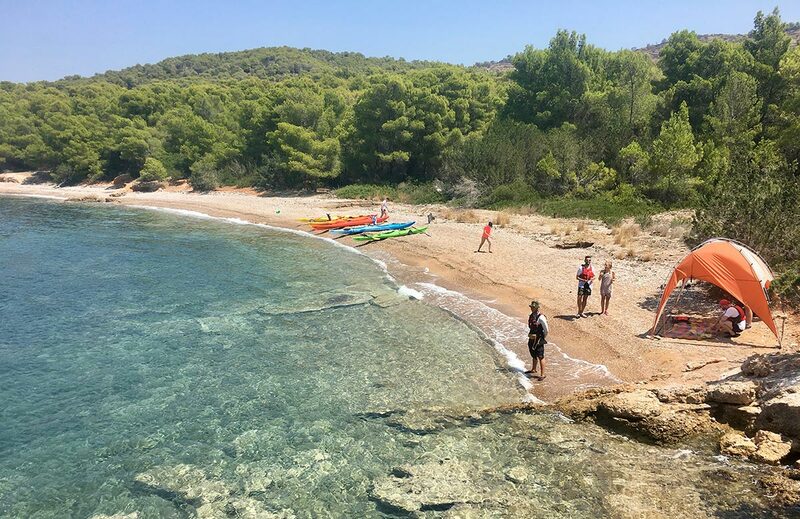 We offer Day Tours, from 4 hours to 6 hours in duration, at a quite relaxed pace with plenty of stops to ensure we have plenty of time for relaxing, snorkelling, sunbathing, playing, exploring or just simply enjoying the beauty all around us. This relaxed pace makes our experiences open to all ages and experience levels. 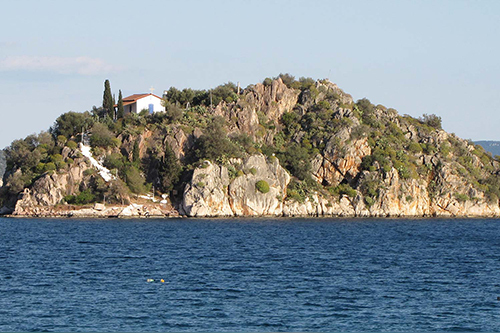 This land is so full of history that makes every Day Tour unique, offering different aspects of Greece’s culture and natural beauty. Depending on the duration of each Day Tour, the experience is fully catered, offering breakfast, snacks, and for the longer tours, a full, homemade and traditionally cooked lunch. We are also able to accomodate special dietary requirements and food restrictions. Expeditions is what we love most; it is what we specialise in! During 7 days, we finally have the time to really enrich the activity with things we know. The expeditions we offer can include a huge amount of knowledge shared with you, such as about the history and mythology of the places we visit, the sea and its wildlife, wild food from the sea and coastline to add to our menu, lighting fires with numerous ways and many many more..
Join our expedition for the ultimate experiential learning activity!